My trip to La Paz in Bolivia ranks highly (pun intended) when it comes to thinking about the most inspiring cities I’ve been to. 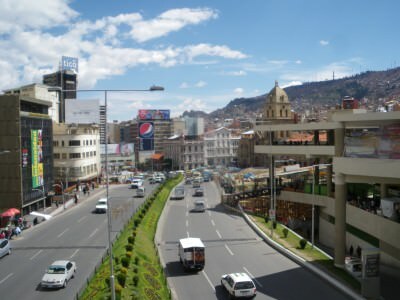 La Paz is the world’s highest capital city, and therefore is also the capital of Bolivia. I just LOVED the whole quirkiness of lofty La Paz. It’s a city like no other. Ugly concrete lego blocks make this an eyesore nestled high into the Bolivian mountains. You struggle to breathe as you walk up and down streets in the downtown area, but most of all this place inspires you. It feels like another world. Here are MY top 5 things to do in La Paz. Please note that I’m not an everyday traveller and these are not most people’s top 5, But remember, this is my blog, hope you enjoy it! 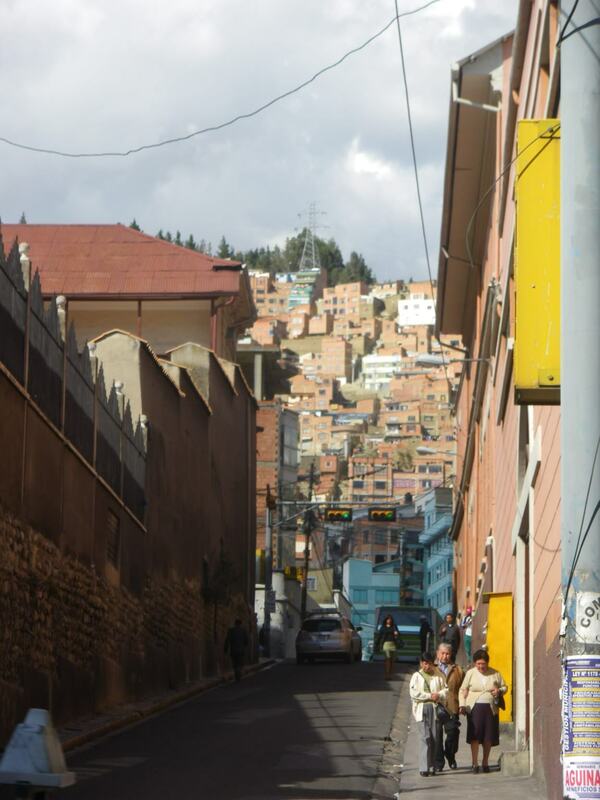 The streets of La Paz, high altitude and even tilted horizontally due to crap hard drives! Visiting football stadiums and watching football is a big passion of mine and I attempt to implement it into my travels as much as I can. If there’s a live match on, I want to be there. If there’s football on TV, I’ll stop to watch. Yes, visiting the football stadium in La Paz should make a footy fans top 5 for this city. 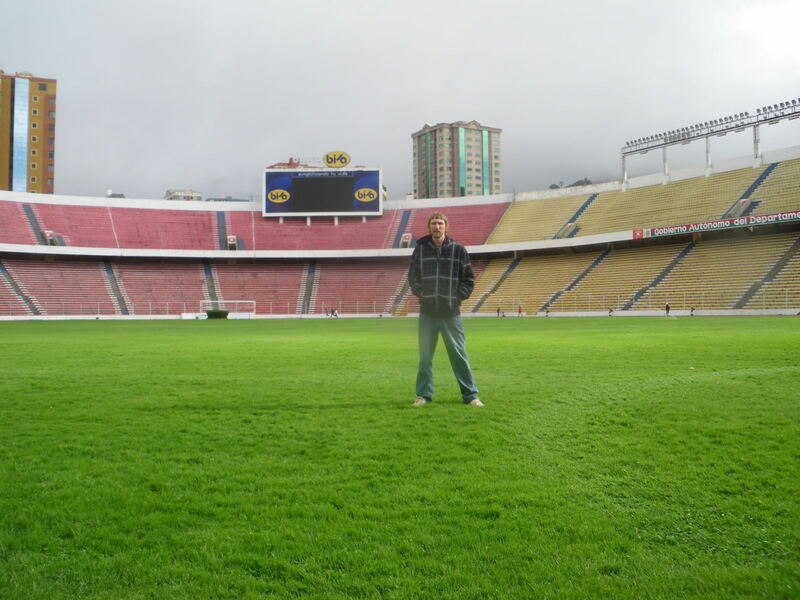 Top 5 things to do in La Paz – stand on the pitch of the world’s highest national football stadium! This stadium, Estadio Hernando Siles is the HIGHEST national football stadium in the world. I got to see it from the outside, from the inside and I stood on the centre circle. I sneaked my way in! Quite simply phenomenal. FIFA have even banned Bolivia from playing there before due to the intense high altitude. Bolivia are hard to beat at home, and have beaten Argentina 6-1 and Brazil 2-0 here over the years. Their glory years of 1994 may be behind them, but if you’re a football loving traveller get this on your list! The witches market in La Paz is on a hill and not too touristy so it’s worth a trip. I enjoyed chatting to the ladies selling souvenirs there. 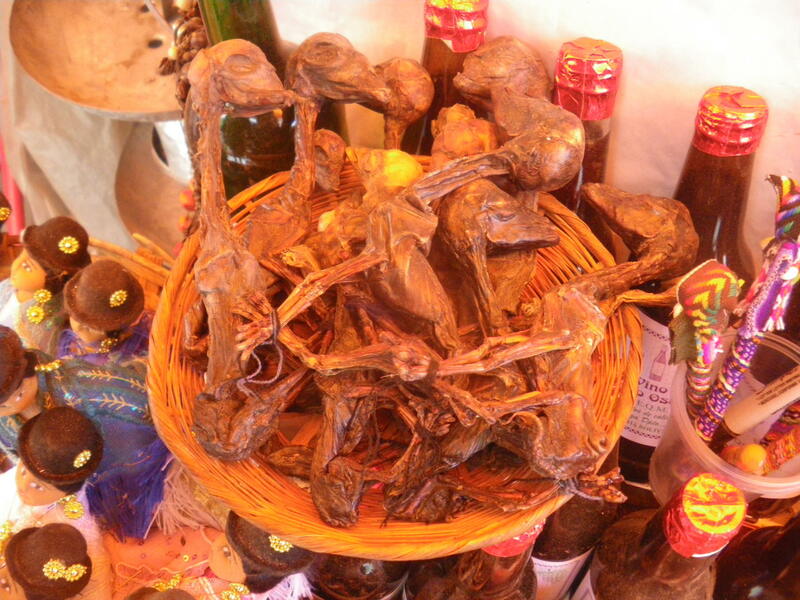 Top 5 things to do in La Paz – head to the Witches Market and check out these llama phoetuses! Even this high up, guns and government combine to add history to what I called “Yellow Square” (that is NOT the real name for it – I just based it on the colour of the buildings and the fact it sounds like Amarillo). 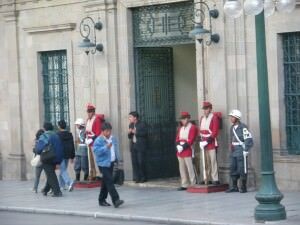 Get your fix by walking around the square, known as Plaza Murillo where you can see the Palacio Legaslativo, Palacio Presidencial and the Cathedral all together – there are guards manning the Palacio Presidencial and bullet holes in the concrete brick work. Keep your eye open for guys wearing hot woolen hats offering to clean your shoes! 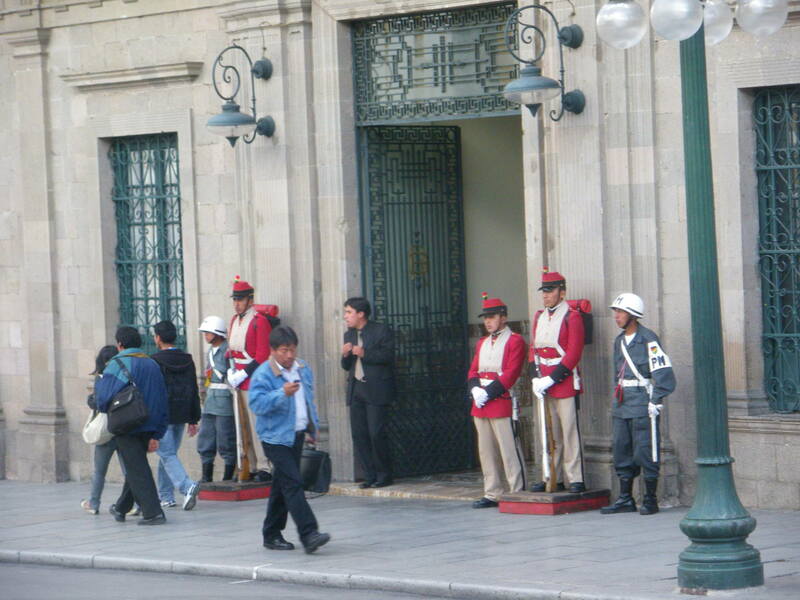 Top 5 things to do in La Paz, Bolivia: I called it “Yellow Square”, check out the palace at Plaza Murillo. 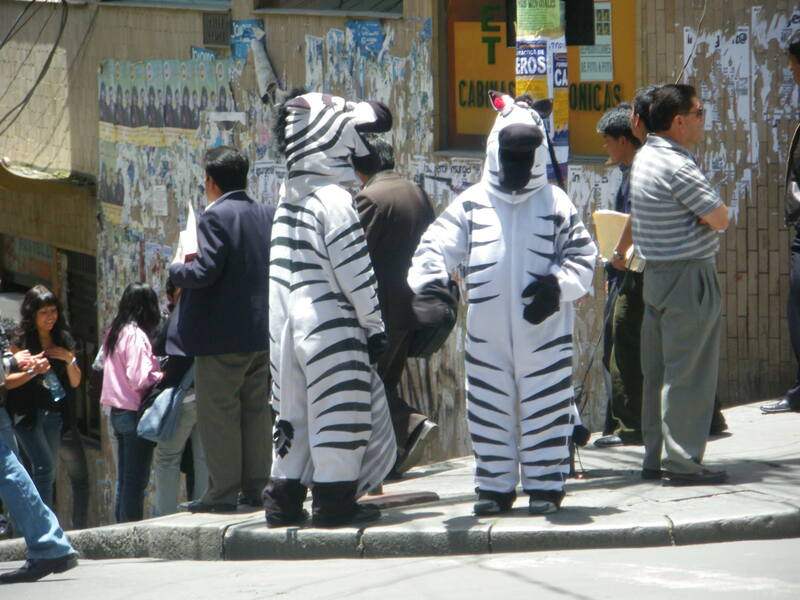 Top 5 things to do in La Paz: Not everyone’s cup of tea but staring at fake zebra crossings is certainly a quirky aspect to life here! Despite claims from Paddy Flaherty’s in Cuzco, the Wild Rover in La Paz is actually the highest Irish Pub in the world. Located at an extremely lofty 3,600 metres above sea level, this pub has an immense vibe. You can let your hair down and relax – the crazy arching streets outside seem a world away as you drink Pacena and Bock to your heart’s content. Live football, a picture of George Best on the wall and some Irish staff make this a great place to relax and party. It doubles up as a hostel, so you can also stay there. 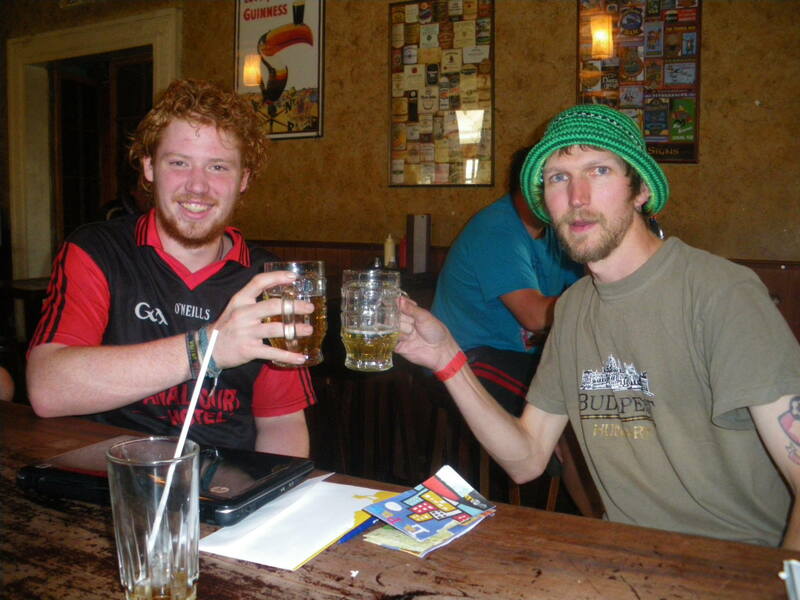 Having a beer in the world’s HIGHEST Irish Pub in La Paz, Bolivia! 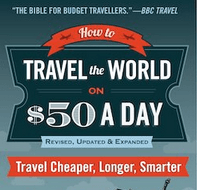 Do you know what the best thing is about my top 5 things to do in La Paz? They’re all FREE. 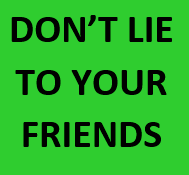 You have no obligation to buy a beer when visiting the Wild Rover, nor to you need to spend a penny to see the Witches Market! 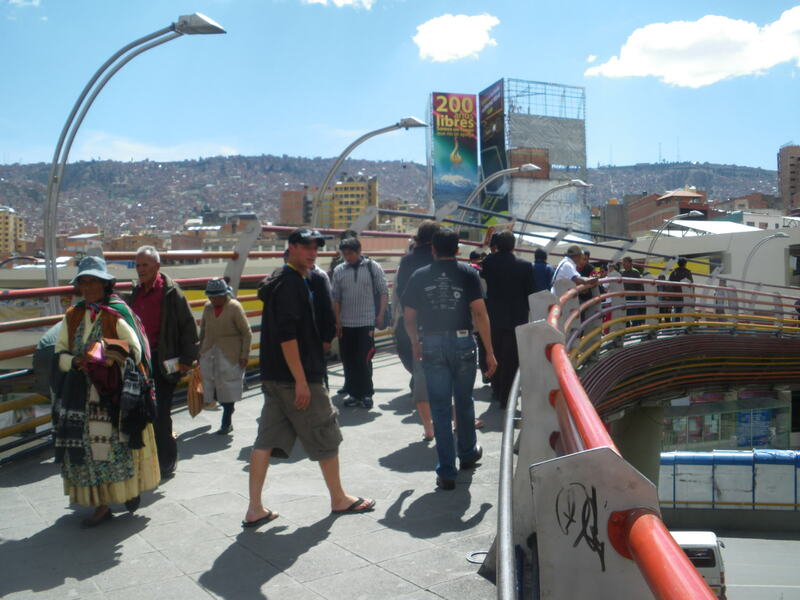 Top 5 things to do in La Paz Bolivia. Of course, La Paz offers a host of other things to do such as San Pedro Prison and the views of the city from afar. Many travellers to La Paz also do the really touristy things like get a “plane to the jungle” at Rurrenabaque and do the “death road to Coroico” and those are two things I didn’t do – probably not just the touristy aspect but the price and the timescale didn’t suit. I already bunged Potosi and the 3 day Salar de Uyuni tour into my travels in Bolivia, before boarding a bus in La Paz direct to Cuzco, where I began the Inca Trail. 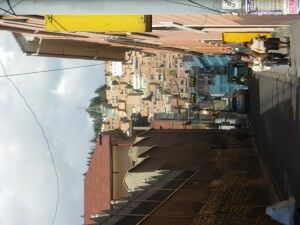 La Paz is a massive sky high city and I just loved it. 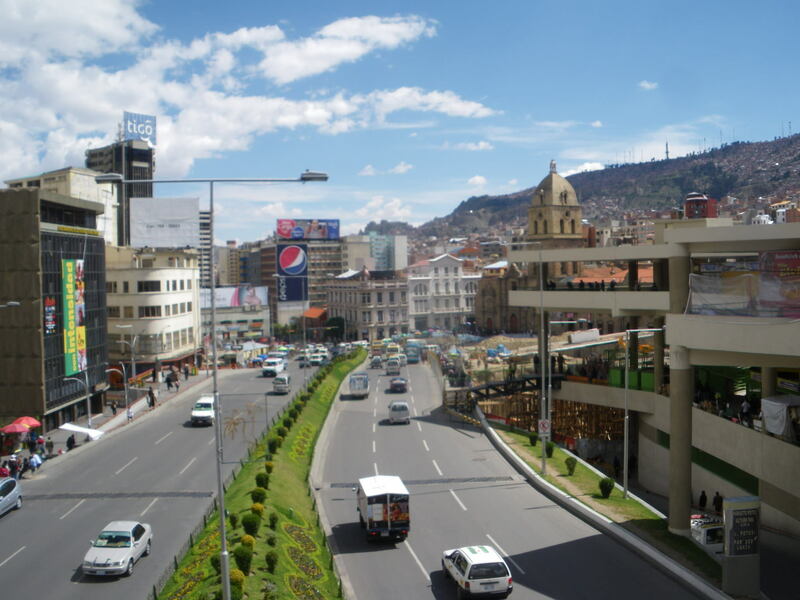 This entry was posted in Bolivia, Destinations, La Paz, Lists, South America. Bookmark the permalink. the Zebra program is govt sponsored for recovering drug addicts and alcoholics. Something like giving them a positive purpose. They are remarkably cheerful performing, the children like them, and the drivers actually obey them, which they don’t do the rest of the time when no one is looking. They show up sporadically through the city but surprisingly not usually when children are coming and going to school. They make it safer for pedestrians and help the traffic flow, which is usually gridlocked by the selfish attitudes of the drivers. 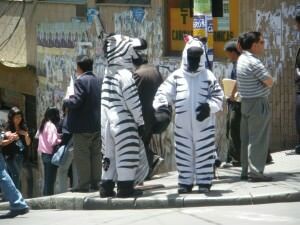 I believe there is a sanctuary/school kinda place for the Zebras in El Alto, up on the mountain ridge that surrounds the city. 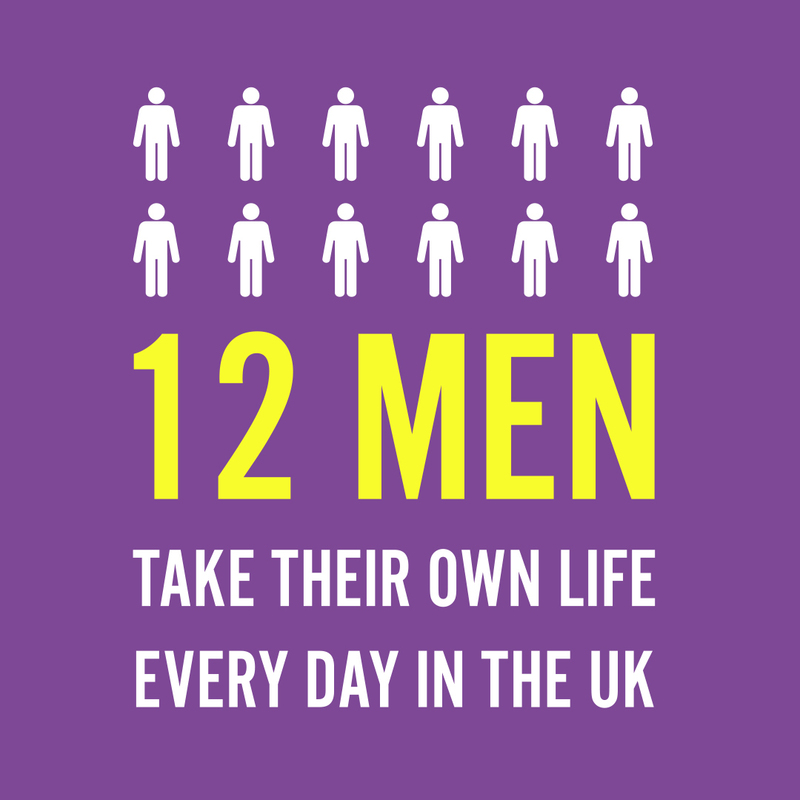 Well these days you could add a ride on the Teleferico to that list! Just returned from La Paz with my son, who wanted to visit the Salar de Uyuni. Jaded American that I am wasn’t so impressed, to me looked like a huge ice-skating rink. The hours of driving and freezing accomodations were torture. I loved La Paz, wandering the city. Loved the Zebras. Sorry I didn’t know about the Irish pub, I am Irish-American. But what is with the street crossing signs, hysterical. Red light counting down seconds, below it green figure RUNNING across street. Never in New York; if you fell down next thing you would be suing someone because of the sign. NY needs to lighten up.